In examining the 1803 debate in the Senate concerning the 12th Amendment, we find that some of the Senators understood the electoral system as set up by Article II of the Constitution and were loath to change anything without a thorough study and analysis of the effects of those changes. Other Senators either did not understand the American constitutional paradigm as it relates to choosing the President, or had some interest in changing the system for their own ends. Let this statement of facts be kept in view while we examine the duties assigned by the Constitution to the several agents concerned. The duty of the Electors is precisely defined. They are each to bring forward two candidates fully qualified for President, because they cannot know at the time of giving their ballots upon which the choice will fall. The circumstance of two having a majority, and both being equal in number of votes, is an expression of the public will, through the only Constitutional organ, by which, in this case, the public will can be expressed, that both had the requisite qualifications. The public will, then, was in this instance clearly and unequivocally expressed, by a Constitutional and numerous majority, that both candidates were worthy of the office; but here the expression of the public will ceased, and which of these two should be President was now to be decided by another Constitutional organ, that is, by the House of Representatives, voting by states. The framers of the Constitution so intended, and the people who adopted it have so ordained, that their will in this case should be expressed by a majority of the states, acting by their representation in the House of Representatives. The right of selection is a right complete in itself, to be exercised by these second Electors, uninfluenced by any extraneous consideration, and governed only by their own sense of propriety and rectitude. 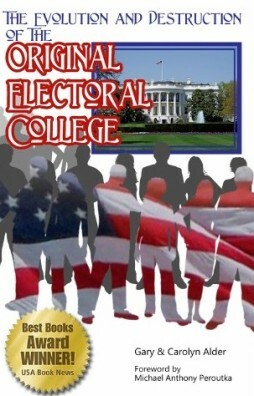 The opinion of the people had been expressed by the Electors, but it only reached a certain point, and then was totally silent as to which of the two should be President, and their sense upon this point could only be collected through their Constitutional organ, the House of Representatives, voting by states. Any interference of the first Electors, or of an individual or individuals, must be informal and improper. The advice of sensible and candid men, as in every other case, might be useful; but could have no binding force whatever. The first Electors had no right to choose a Vice President. To claim it was overstepping their duty, and arrogating to themselves a power not given to them by the Constitution. Although the gentlemen mentioned above, along with others, made well-thought-out and well-delivered arguments for not hastily changing the Constitution, and demonstrated that the system was not “broken”, in the end they did not prevail. The Amendment passed in the Senate and the House in a matter of days and was quickly ratified by the states in time for the 1804 election. We claim that with the ratification of the 12th Amendment, the electoral system is broken.